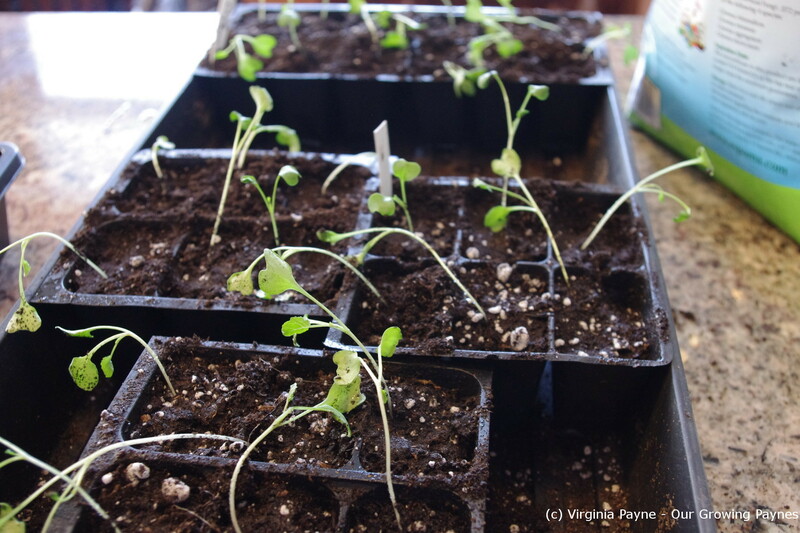 And so it begins with transplanting….. Given that we just got dumped on by a ton of snow, there are probably several of us who would love to see some green. This is partly why I am so anxious to start our plants in January! We planted a few different plants a couple of weeks ago and I showed the seed planting then. While a few are starting to pop up the broccoli and Brussels Sprouts are going like gangbusters! I couldn’t believe how well they are doing. It’s great because we’ll have very healthy plants to put in the ground come April when the ground is workable. As we did have a major storm and I realised my bigger pots are in the carriage house I had to make do with smaller 6 packs for now. 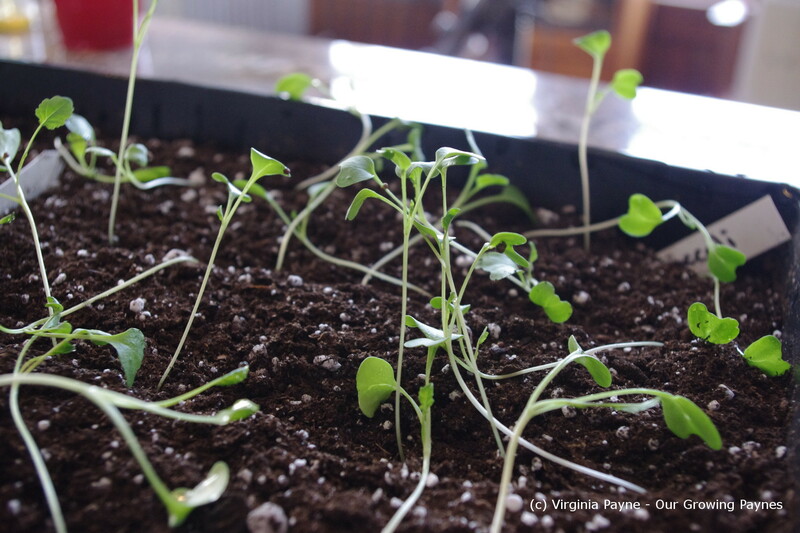 I carefully spooned out each seedling and put them each into their own cell. Watering as I went so they don’t go into shock. They will lay down and act like they’ve given up sometimes but they perk up. I put the clear cover over them and back onto the heating pads and under the grow lights. So now every one-two weeks we’ll be transplanting and staging the seedlings until it’s time to put them out in the real world…. This entry was posted in Gardening and tagged garden, gardening, kitchen gardens, seedlings. Bookmark the permalink. You are making me realise how far behind I am! Yet to sow a single seed. We’ll be sowing seeds through March depending on the veg. Then some get directly sown in the garden after that. My MIL said it’s a bit soggy to get out in the garden. I was envious she was even close to getting out in the garden! This is so exciting! Can’t wait till you harvest them. It’s too early to start planting here but I love seeing that you’ve started and things have sprouted. It won’t be long for us now. Continued good luck! So used to love what you’re doing right now! Oh, how I miss having access to that fabulous garden I used to have. Oh that would be hard not to have the garden. Even our kids are involved with it.